Here at JONNY-ROCKS®, we offer luxury transport hire to clients in and around Newent. We guarantee a first-class service: whether your journey is for business or pleasure, and promise you’ll arrive on time, feeling completely relaxed and stress-free. Our drivers are fully licensed and insured, friendly, and will always put your needs first. - Tess Robertson, Manager of The Bradley Hotel. We can also provide luxury transport hire to clients in Newent. To enquire about our services, please give us a call today on 07877 846803. Alternatively, you can send us an e-mail at info@jonnyrockschauffeurs.co.uk – we’ll be sure to get back to you as soon as possible. Each vehicle offered is stylish, well-maintained and has a spotless interior & exterior. We pride ourselves on the condition of each car, and we always deliver a professional service to ensure your ride runs as smoothly as possible. All luggage is taken care of by our reliable chauffeurs, and we will make sure you arrive to your destination in perfect time. Some of our latest Mercedes models include top-of-the-range features like privacy glass windows, a panoramic glass sunroof, heated/cooling seats (that also recline) and climate control. Our larger vehicles also come with electric sliding doors and additional luggage room. To enquire about any of our vehicles, please give us a call today on 07877 846803. You may be wondering what events would be appropriate to use our transport hire for? We would recommend using our services when you have a meeting or event coming up and could do without the stresses of having to drive yourself there. If you don’t know the exact route to your location, or there’s a few of you travelling together, we think it’d be a great idea to call us – we can have you arriving at your destination quickly, stress-free and in style. We accept all major credit cards as a form of payment. 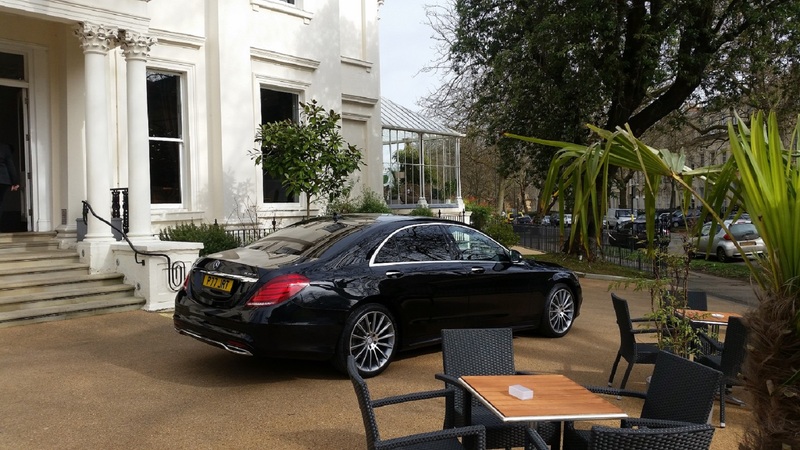 To view all our chauffeuring rates, please click here. We provide luxurious & reliable transport hire to customers in and around Newent. Newent is a small market town in Gloucestershire, with a population of less than 6,000 people. Its heart lies in the un-spoilt Tudor market hall, a popular attraction for both visitors and locals. Newent also has a range of cafes, restaurants and pubs to offer: with The George Hotel being a firm favourite. If you live in Newent, or any of the surrounding areas (including in Bristol, Cheltenham, Coleford, Hereford, Leamington Spa, Oxford, Swindon, Tetbury, Warwick and more) then please contact us.